Stepper Motor DCNC-NEMA23-2.0Nm (Double Shaft) | DamenCNC B.V.
A standard NEMA 23 motor we can offer from our stock. 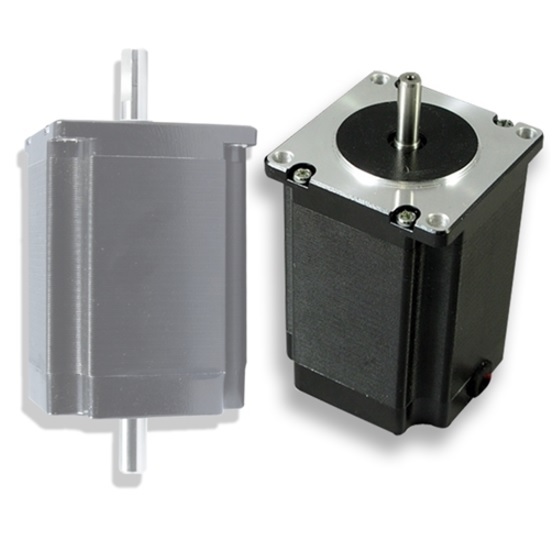 The motors are selected to work well with the stepperdrivers we offer. This model has a double shaft that allows you to mount for example an encoder, or handwheel.